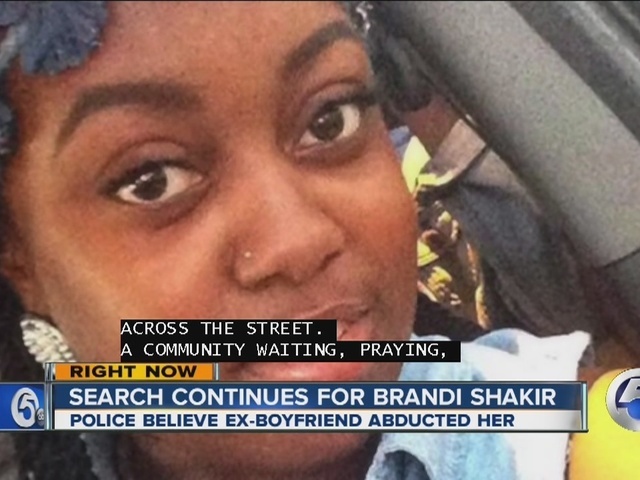 Oakwood Village police are working with the FBI to find 23-year-old Brandi Shakir, who is thought to have been abducted by her ex-boyfriend and is believed to be in danger. 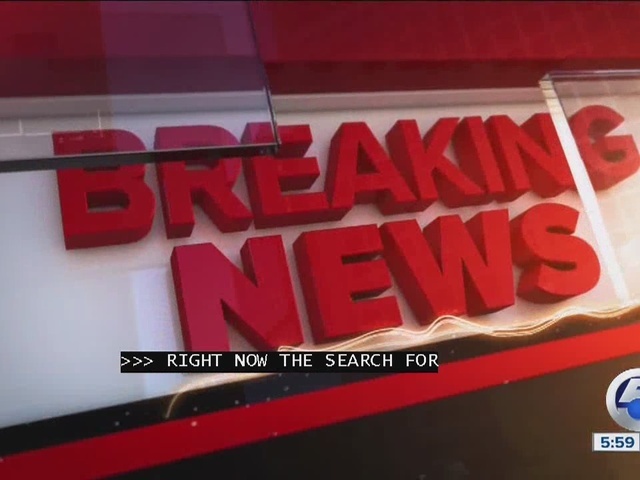 Police said Shakir went missing around 10:30 a.m. on Monday. Officers received a 911 call from a neighbor who said the house she was in was on fire. When the fire was put out, Shakir was nowhere to be found. 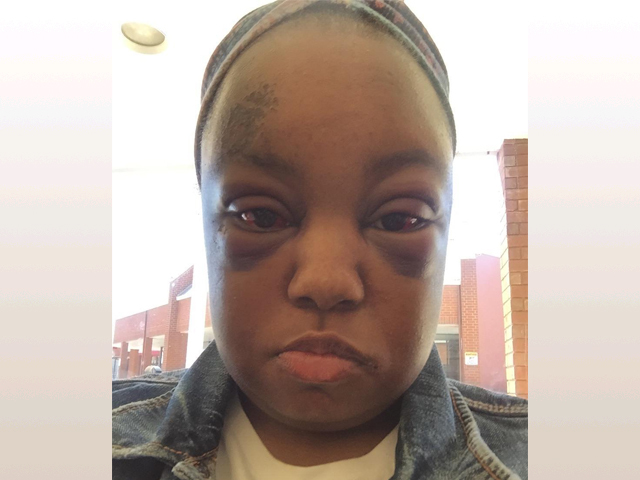 According to authorities, Shakir was recovering from injuries from an assault by her ex-boyfriend Kyle Johnson from last week. She suffered two black eyes and a fractured eye socket, according to Oakwood Village Police Sgt. Kenneth Willner. Johnson had a warrant out for felonious assault and Shakir had a temporary restraining order against him. A neighbor told police she saw Johnson go in to the home Monday morning and later, speed away. Shakir's relative, Kimberly Barnett, said Shakir was staying at her mother's home because she was badly hurt and afraid. "I just want him to bring her back. I just want him to bring her back safely," Barnett said. Police described Shakir as a African-American woman, 5 feet tall, and 120 pounds. Police said she was last seen wearing green scrubs, a white t-shirt, a Pandora bracelet with purple charms and possibly glasses. Johnson, 25, was described by police as an African-American man with black hair, browns eyes, 5-foot, 6 inches tall and 210 pounds. He was last seen wearing a dark hooded sweatshirt and dark pants. 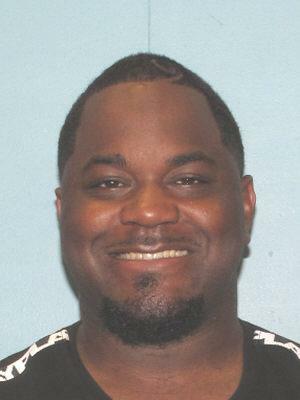 Officials said Johnson was last seen leaving Oakwood Village around 10:35 a.m., driving a 1999 black Acura with Ohio license plate EXV6585. "She does not deserve to be missing right now, she does not deserve for us not to know where she is. She deserves to be safe and back with her family and this is what we are praying to God happens," Barnett said. Anyone with information should contact police at 440-201-1008 or call 911.